January 7, 2016, Richburg, SC. 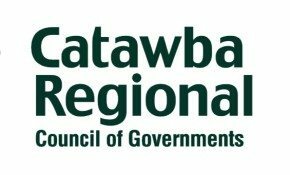 One hundred local elected officials and legislators from across the four-county Catawba Region met in Richburg Thursday night. 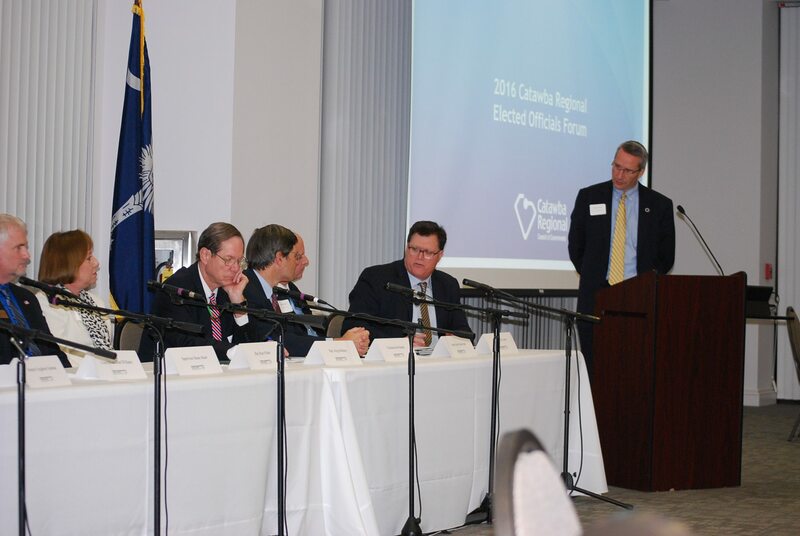 Speaker of the SC House of Representatives Jay Lucas provided the keynote address, and identified top priorities for the SC General Assembly in the upcoming legislative session. Michael Shealy, Budget Director for the SC Senate Finance Committee, provided an overview of the state budget and a $1.3 billion surplus for the coming fiscal year. Speaker Pro-Tempore Tommy Pope moderated a panel discussion among the region’s legislators and county council chairs, discussing issues such as roads funding, the local government fund, ethics legislation, and K-12 education. 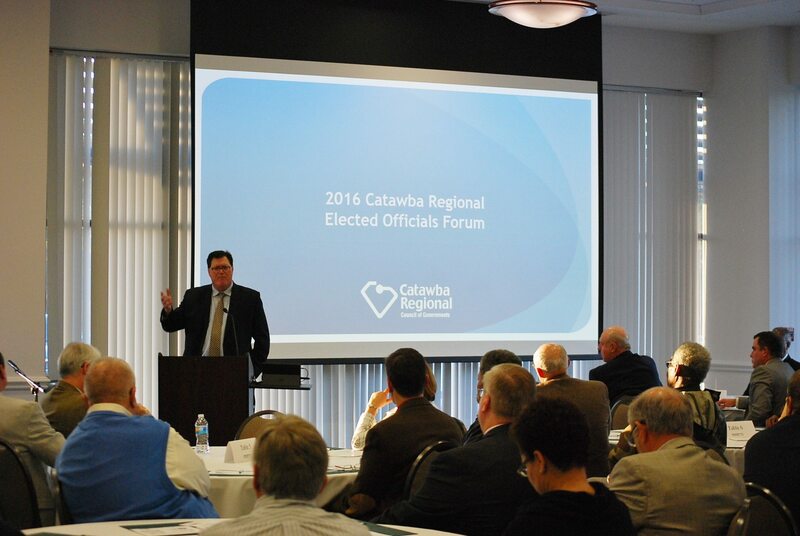 The Forum is organized by the Catawba Regional Council of Governments. Sponsors of the event included Clover Community Bank, Duke Energy, First Citizens Bank, Founders Federal Credit Union, Park Sterling Bank, South State Bank, Spratt Savings and Loan, and York Electric Cooperative.